How to Conceal Hair Loss and Grow Hair at the Same Time! Hair loss is a serious issue for many people, since hair loss affects how people feel about themselves. It is no wonder that so many people with hair loss spend a lot of money trying to minimize their appearance with wigs or hair pieces when they begin to lose their hair. 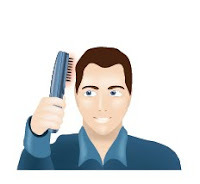 As we all know, one popular method used by men, is to shave their head so that the whole scalp looks the same. This does not of course conceal hair loss, it just provides a uniform looking scalp. Another popular option is the HairMax LaserComb which is one of the few products that has been proven to regrow hair in those individuals experiencing hereditary hair loss. The recent introduction of the HairMax Hair Fibers provide the perfect solution for men and women suffering from hair loss and thinning hair who want to change the way they feel about their appearance right away. Once the HairMax Hair Fibers are applied to the scalp, results are instantaneous. Balding and thinning areas instantly vanish yielding a natural looking full head of hair and a renewed feeling of confidence. Best of all, the new HairMax Hair Fibers now provide an ideal compliment to the HairMax LaserComb in that hair loss can be concealed while waiting for the results with the HairMax LaserComb to take place. The modern design of the HairMax Fibers consist of finely cut fibers that provide instantaneous results for men and women suffering from hair loss and thinning hair. The HairMax Hair Fibers HairMax Hair Fibers are easy to use to build volume, density and thickness in seconds. What is equally important is that the HairMax Hair Fibers are completely undetectable and they go on dry with no odor. They are made with all-natural and organic ingredients and easily wash out with any shampoo. The new HairMax Hair Fibers are already helping thousands of people conceal thinning hair all over the world. If you are suffering from hair loss the time may be right to do something about hair loss. The HairMax Fibers and the HairMax LaserComb used together are a winning combination that starts right away to restore your appearance and self confidence.